Twin Peaks' cult status in the post-Soviet space offers a window to explore legacies and memories otherwise left untouched. Source: 8tracks.com“If you stop crying and come with us, we’ll let you read The Secret Diary of Laura Palmer.” It was the early 1990s in Ukraine, and someone had just set the door of our family apartment on fire — not an entirely bizarre occurrence in the chaos of the early post-Soviet years. My father’s business was under pressure from criminals, and the late evening fire was clearly meant to send a message. In the immediate aftermath of the incident, my parents packed me off to stay with friends, for my own safety and sanity. I was hysterical, of course, and didn’t want to go. It was the mention of Jennifer Lynch’s Twin Peaks spin-off novel — newly translated into Russian and featuring Laura Palmer as narrator — that got me to let go of my mother and step into the dark hallway that still smelled like smoke. Just like David Lynch’s show, the book was entirely inappropriate for a girl in elementary school. It also sadly related to my life and my world, the strange world we all now occupied — where nothing made sense and the senselessness was almost comical at times, if it wasn’t for the fact that it could also maim and kill and stun the psyche, as I found out time and time again. When it arrived on the post-Soviet landscape, Twin Peaks quickly gained a cult following. Adults watched it. Teenagers watched it. Kids like me weren’t supposed to watch it, but did anyway. The show was discussed in shabby kitchens, on rain-streaked bus stops, in classrooms where old textbooks still stressed the importance of spelling Vladimir Lenin’s name properly, and in the suddenly chatty and audacious press. Superimposed on the great social dislocation that was taking place in the former Soviet Union, Twin Peaks was organic in its weirdness. From offbeat office interactions to women who spoke to logs, this thoroughly American show echoed in the hearts of people who had been taught to view Americans as an enemy — a great political irony. Trailer for the new Twin Peaks. Source: Showtime / Youtube. A quarter of a century later, Twin Peaks is back for its third season, its devices less subtle, but also more terrifying. The small town quaintness and the soap opera and crime show tropes, elements that softened the blow of tragic events and strange happenings in the first two seasons, are pretty much gone this time around, replaced with violent horror and biting cultural commentary. In the age of mass entertainment, the show’s revival isn’t likely to gain a massive following in places like Russia and Ukraine again. People are much less dependent on their televisions now, and their horizons have broadened even as their capacity to take in information has been overwhelmed. At the same time, the show’s enduring relevance raises all sorts of uncomfortable questions. In considering the legacy of Twin Peaks in Russia, the legacy of Russian president Vladimir Putin (in charge of his country for 17 years and counting) becomes unavoidable. Putin initially staked his career on a categorical rejection of everything the 1990s stood for. The chaos, the criminal empires, the conflict, the confusion, all of that was supposed to go away under the benevolent tsar — and it’s easy to see why people fell for it. Why wouldn’t they? It’s not just an issue of politics, it’s an issue of human psychology. Speaking as someone still haunted by my own memories of the 1990s, I understand the impulse to seek protection from a strongman. But in the political system that Putin has built since coming to power, the same sense of unreality that made the original Twin Peaks so popular frequently shines through with its cold light. Whether it’s Russian officials who are slightly too eager in their praise of the president or caricature-like propagandist TV programming crammed down the population’s throat, the fact that something has gone wobbly in the kingdom is hard to hide. Everyone knows it, but much like the residents of Twin Peaks, most would rather smile and pretend that nothing is happening — it is, after all, the safest response. Wars are still being fought. Criminals are as active as ever, though many of them now have the benefit of political office. Just the other day, Putin awarded a medal to a regional governor linked to a brutal attack on a prominent journalist. Crackdowns against gays by Chechen officials have gained global attention, but an unspoken political code of conduct means that federal laws simply don’t apply to the Chechen regime — and keeping up the appearance of a harmonious relationship between Grozny and Moscow is more important than an individual’s right to exist. On state television and on the internet, confusion has reached a kind of peak as conspiracy theories spread like wildfire. So, are the 1990s even over? Or have they merely taken the form of a demonic spirit like Twin Peaks’ very own Bob, capable of possessing and subverting an entire society? After moving to the States to escape the door-burnings and other, much worse things that were happening to our family in Ukraine, I often tried and failed to explain to American friends as to why we left. The truth made most of the kids I grew up with in North Carolina profoundly uncomfortable. “But you’re OK now,” the most compassionate of them would say - insist, even. “Of course I’m OK,” I would tell them. I didn’t just say it because it was what they wanted to hear. I wanted to believe it myself. I think that this was what my entire generation wanted to believe. "I am dead, and yet I live," Laura Palmer tells Dale Cooper. CC BY 2.0 Bago Games / Flickr. Some rights reserved.“I am dead, yet I live,” Laura Palmer tells Special Agent Dale Cooper, the man originally tasked with investigating her brutal murder, in the premiere of season three. It’s a line that fits perfectly into the show’s dream-like logic. It’s also a line that applies to history, and to the spaces within our minds where love and trauma reside. 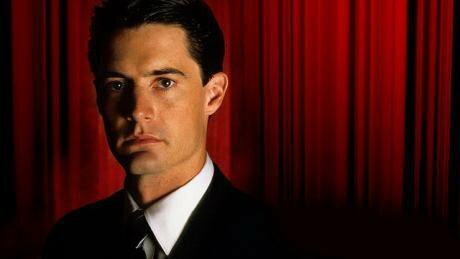 It would be too much to expect the new Twin Peaks to explain what to do going forward. For now, the only plan I have is the idea that when you can’t do much, you might as well bear witness. Sadly, we cannot expect to remain unscathed — as two characters in the premiere swiftly found out, after an unfortunate incident involving a monster and a glass box so obviously TV-like that I can’t escape the feeling that Lynch is giving a middle finger to viewers everywhere, albeit in a typically elegant fashion. 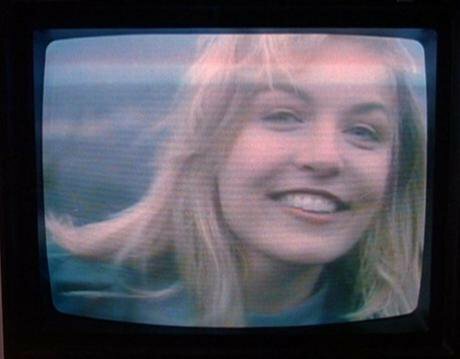 Laura Palmer is dead, and yet she lives. I am a grown woman, and I am the little girl stepping into a smoky, dark hallway in Kyiv. I want to tell that little girl that it’s OK, that the fire will not walk with her out of that building and into the rest of her life — not unless she invites it, anyway. I just can’t speak for those who move history around her like a current of water.